I used Hobbs 80/20 batting and Superior Thread’s King Tut thread in color #994, Karnak. 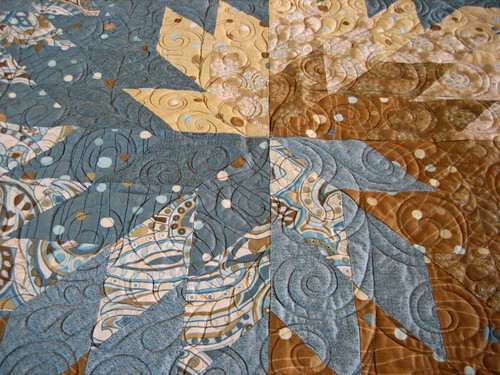 The quilt was about 95 inches square. This entry was posted in Elizabeth's Wedding Quilt. Bookmark the permalink. oh my goodness! 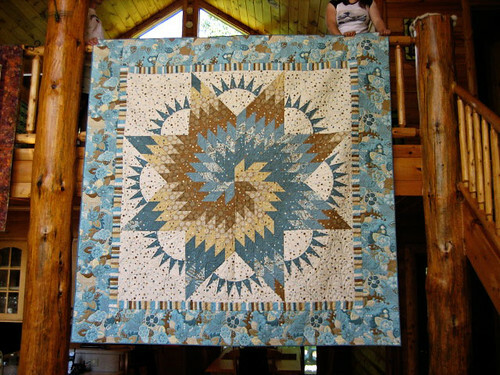 This is simply a drop-dead gorgeous quilt! I love the colors you chose, LOVE the layout (isn’t Jane Krenz the best? 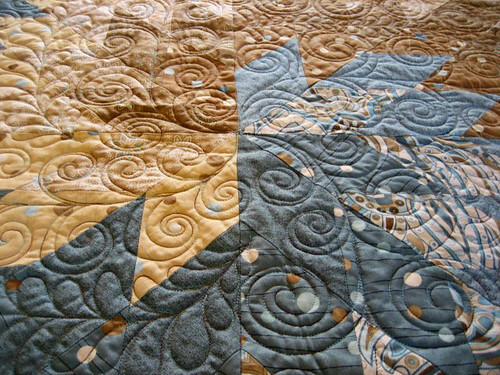 🙂 ) and what a wonderful job of quilting you did! When the picture opened on my computer, I did a “oh dear!”. WOW. Gorgeous! I love that fabric and have made a few things with it too. 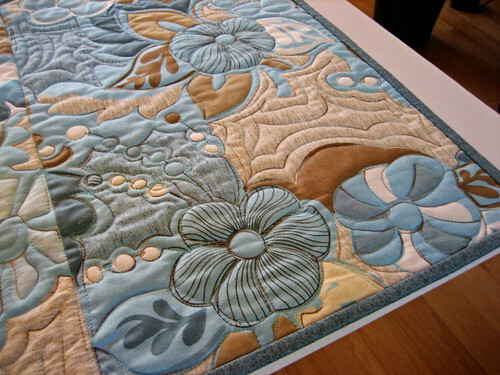 Your quilting is wonderful also. 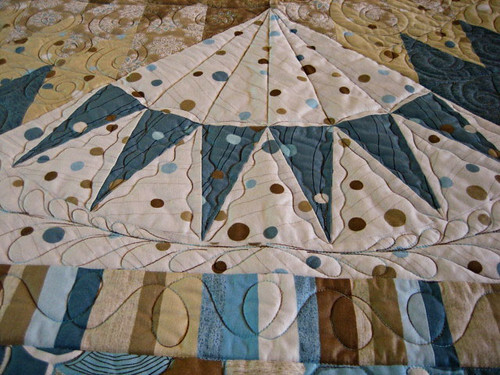 It fits perfectly for the fabric and the design of the quilt. Lucky Elizabeth!! 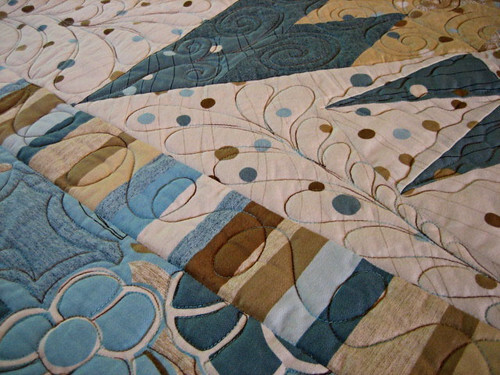 Your quilt took my breath away! 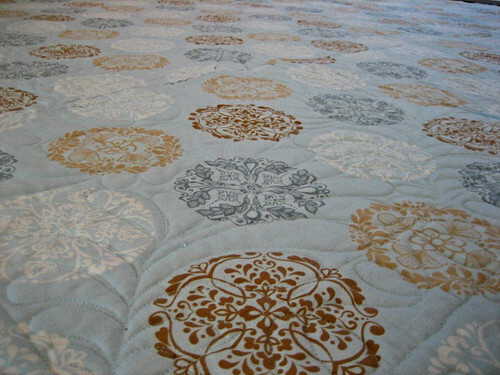 From your color choices to your stitching, this quilt is just absolutely stunning. Magnificent! Thank you for sharing! 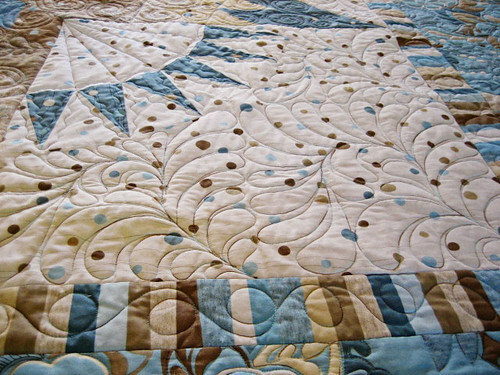 This quilt is so incredibly beautiful in every possible way that I simply had to reblog it!